HEY HEY!! OMG I feel like it’s been a long time NO BLOG! It’s been a crazy first quarter into 2019, can’t say that it’s all been good but crazy nonetheless….how are all of you?? Let’s do a quick check-in! Mentally how are we? Emotionally how are we? And physically? The weather, mercury retrograde, and everything else in the universe is trying to form against us…don’t feel bad for taking time to or for yourself! The light at the end of the tunnel is SPRING is finally approaching! Longer days, tanner legs, and warmer temps all across the board! I wanted to do a blog post talking about some of what I consider to be my 9-5 essentials…I typically drift towards pieces that brighten my day and add that extra UMPH or pump in my step! I mean, we are at work for about 8-10 hours a day and sometimes that doesn’t include the commute! Nothing shouts confidence in a meeting than a woman in her bright metallic lavender suit…I mean, it’s really like a GOOD MORNING WORLD! every step you take. 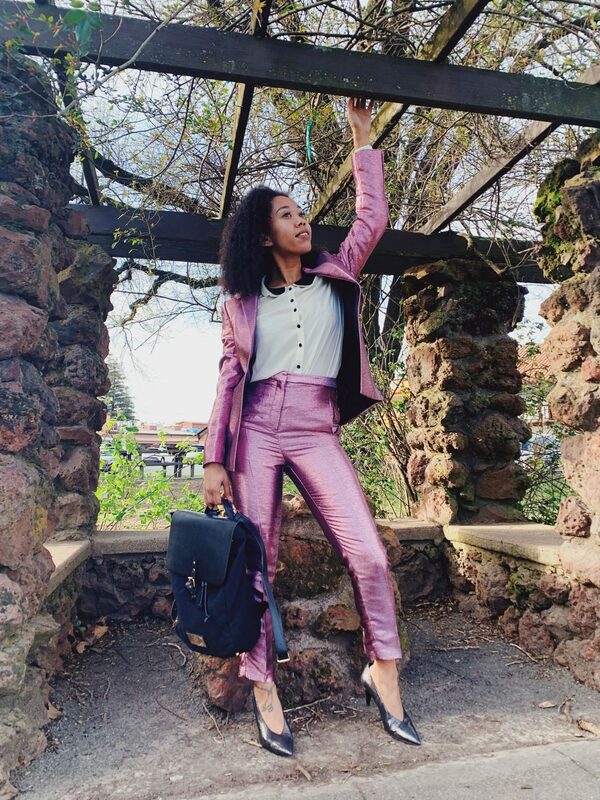 I was actually looking for a fun pink suit for a long time and happy that I waited until I found this one that I absolutely fell in LOVE with! I get so many compliments every time I wear this suit! and it’s really multiple looks in one…You can easily pair the jacket with jeans for a fun casual look or with trouser pants and rock just the jacket for work…same can be done with the pants. Though I didn’t buy it, there is also a matching skirt! *Frantically starts clapping* I know, so CUTE! Linked a few sequin blazers (including this one) below! No work look is complete without the perfect pair of loafers! I love these because they’re in a nice chunky heel so I can wear them all day without my feet hurting! Have a work happy hour you’re headed to? Grab the jazzy gold pair and add that POP or PiZAZ to any look!